Tor is a specialized web browser: its target audience is the very security-minded user, someone who wants to stay private and anonymous. That includes all kinds of folks, from tech writers to, well, some people who have a strong and vested interest in law enforcement not knowing what they’re up to. The browser boasts over a million users now, but Comcast seems to be of the opinion that it knows what every one of those people are up to, that they are up to no good, and that Comcast has the right to cut off their web service for using it. Business Insider reports that Comcast is identifying Tor users as participating in “illegal activity,” and threatening to cut off their internet service. Tor is popular with the criminal element, it’s true. But it’s also popular with highly tech-savvy, security-minded users. Last we checked, preferring privacy and anonymity online were far from illegal on their own. Comcast is basically claiming psychic powers, to know what evil lurks in the hearts of men who prefer private browsing. And they’re saying that anyone who doesn’t want to be spied on is doing something against the rules. Users, of course, probably have no alternative service to use. So Comcast is getting to decide what they do with their service, and what level of privacy they’re entitled to. 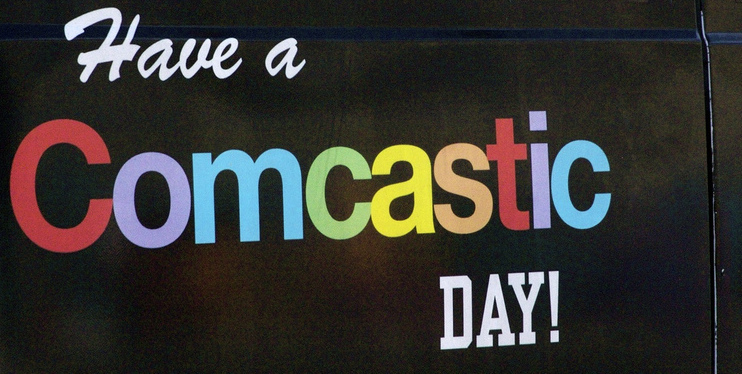 Call it another reason that letting Comcast take over more of the nation’s broadband connections is a bad idea.